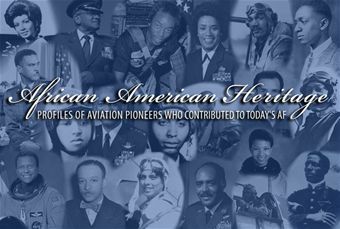 Black history month starts today and the Air Force wants you to know some of the African-American men and women who helped make aviation and the Air Force what it is today. The Air Force will profile a different African-American man or woman each day in aviation or Air Force history during the month of February, according to a press release. The series, which the service is using to help mark Black history month, will start with Bessie Coleman, who at the beginning of the 20th century was forced to leave the U.S. to fulfill her aviation dreams, but would eventually become the first African-American woman to earn a pilot’s license. The series also will highlight men like Eugene Jacques Bullard, the first African-American military combat pilot, and William Powell, a licensed pilot, navigator and aeronautical engineer. The Tuskegee Airmen and other men and women who were early pioneers in the Air Force also will be featured over the next 29 days, according to the press release.